An L.A. Lawn: Should It Stay Or Should It Go? 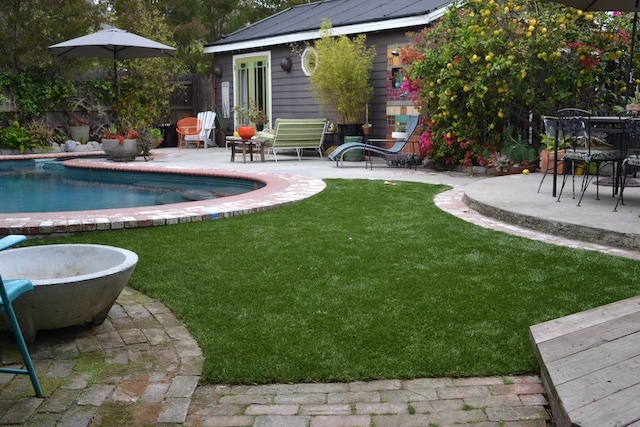 An L.A. gardener replaced her back lawn with dog-friendly artificial turf. But she's torn on what to do out front. What would you do? You remember the good old days of the lawn, right? Running around barefoot with your friends and pretending the dogs were sharks. Here in Los Angeles, I’m still living those days because this is my lawn, and I’m feeling horribly guilty for having it. It’s not a very big lawn. My gardening obsession has pushed the planting beds farther and farther into its green edges. But with the declaration that all Californians have to cut back on water usage at least 25%, I grew concerned. 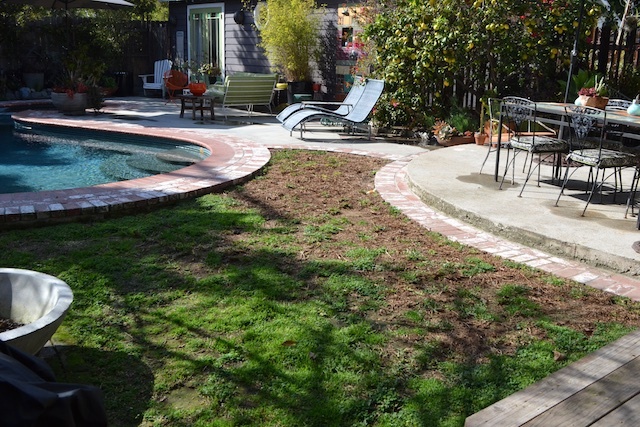 My other plants are already drought-tolerant, and I only water the lawn three times a week. Would it look as lush if I cut back to watering it just twice a week? Could I handle brown grass? Maybe I should apply for a rebate and just rip it out (my husband’s vote). But if I don’t have a front lawn, what would I have? In our backyard, we let our small patch of grass go to the dogs a couple of years ago—and it started to look so bad that we replaced it with artificial grass. Looks pretty darn good, right? But here’s my issue with artificial grass: it’s expensive, you have to keep cleaning it or it starts to smell not-so-nice (especially when you have three dogs), and I really wonder what’s going to happen to all that artificial grass once it’s past its prime. Is that going to be what’s filling up our landfills? Clearly, I chose to ignore the question and just did it because I couldn’t bear not having at least a little green in my backyard. But the front yard feels different, and I’m not sure what to do about it. 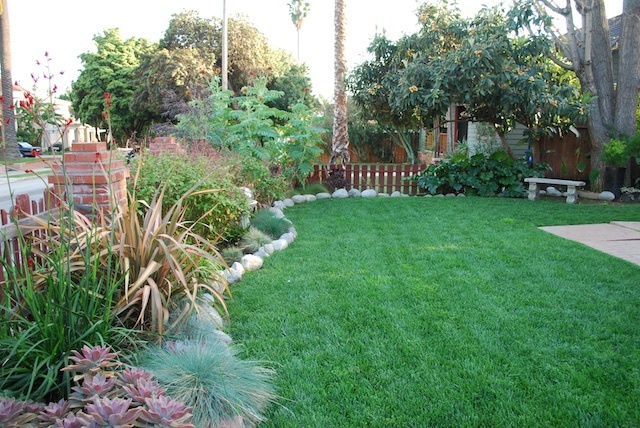 If you weren’t going to have a lush lawn, what would you have? A dead lawn painted green until it rains again? Or would you fake a lawn and go plastic? This is L.A. after all. Guest blogger Annette Gutierrez is the co-owner of Potted garden and outdoor-living shop in L.A.’s Atwater Village.